While some readers may be put off by yet another review of yet another Egyptian-themed pokie, others will rejoice at the prospect of having their favourite topic featured across the reels of another game. There’s no point being in de-Nile about it, as online casino players can’t seem to get enough of these games, so developer EGT have obligingly added the Egypt Sky video pokie to their range. To be fair to them, the choice of symbols is slightly different to the usual scarab beetles Eye of Horus and crook and staff images that seem almost compulsory for these games, as we have boats, chariots, and a winged god to give it the distinct theme, although the Queen and Pharaoh, along with the Ankh symbol are all still here. This 5-reel, 40-payline game comes with expanding wilds, free spins and an optional gamble game, as well as the Jackpot Cards progressive feature that’s carried across all EGT pokies. 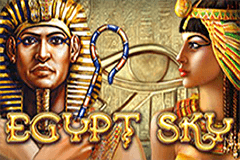 The lines are all activated by default, so anyone who doesn’t want to stake the minimum wager of 0.40 on a new game should try the free Egypt Sky video pokies offered at most casinos, and once happy, they can play for real and stake up to the high limit of 800 coins per spin. To work out what can be won when the right symbols turn up, players can review a pay table, which reveals that the Q, K and A playing card symbols, decorated in a suitably Egyptian style, will each pay out 5, 20 or 100 coins when landing on 3, 4 or 5 reels of a payline, across adjacent reels running from the left side. 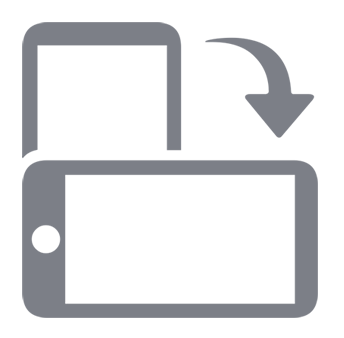 The picture symbols of the boat, chariots and Queen are worth progressively more, and the Pharaoh take up his lofty position as head of the standard symbols by awarding players with 50, 500 or 2000 coins when he stops on 3, 4 or 5 reels at a time. The Ankh, set against a night sky that helps to give this pokie its name, will be able to substitute any of these symbols when it lands on reels 2, 3 or 4. It’s got the special ability to expand across an entire reel if it can then fill in the gaps of a winline, which makes it a little easier to create a prize-winning combination, and it can also extend line of 3 matching symbols across the fourth reel for a bigger reward. Even the Pharaoh will have to bow down before the winnings that are paid out by the scatter symbol. This peaceful-looking image of the Pyramids and Nile river pays out 200, 2000 or the top award of 8000 coins when stopping in any 3, 4 or 5 positions at once, plus it triggers 3, 5 or 7 free spins, depending on how many landed. There’s a unique wild feature active during these spins, as any wilds that appear will not only expand across the whole reel, but also stay locked in place for any remaining bonus games. Even though the number of spins is quite low, having this feature in play during them should help players to get a few wins before they end, although the massive scatter payouts should be more than adequate compensation for anyone who doesn’t win anything in the bonus games. Like all EGT pokies, there are gamble and Jackpot Cards features, and as the gamble game can be played after any win of 1400 coins or under, we shall look at that first. It’s an optional round where players need to decide if a playing card will be a red or black suit and if correct, they can either try to double it again, or collect the win. Getting the guess wrong at any stage loses not only the triggering bet, but also anything gained in the gamble round so far, so it’s often advisable to just risk smaller wins that won’t be missed if an incorrect pick is made. The Jackpot Cards round can be triggered at random and takes players to a second screen where they will see 12 cards which they need to click on in any order. Once 3 cards of the same suit have been uncovered, the progressive jackpot connected to the suit will be awarded, and while the Club prize can be on the small side, the top Spade jackpot can be pretty big. By following this theme, EGT have got themselves a sure-fire hit on their hands, but fortunately for us, it’s also a high-quality pokie with impressive bonus features. It isn’t mobile-optimised however, and the entry point of 0.40 per spin may be a little too high for some gamblers.